Music should move you...make you feel something. It's about expression and passion. If you're getting a proper musical experience, you can feel it in your soul. Expression, Passion and Superior Sound are at the core of the SOUL by Ludacris experience. There are plenty of cool looking personal audio options available, but so few are able to provide true studio level sound quality without distorted, out of whack sound balance. On the flipside, most offerings that do provide a more professional audio experience neglect to infuse any style or personality into the look. But style and sound quality can coexist. SOUL by Ludacris is here to change the game. Years of research by several of the audio industry's most prestigious engineers bring you a professional line of personal audio tools that masterfully balance elements such as world-class noise cancellation technology with superior sound quality, allowing you to experience the full range of your music. 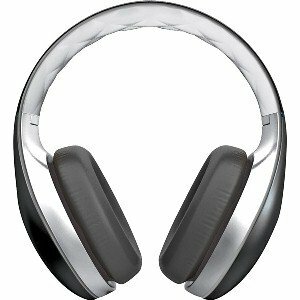 Pair that with an award winning design team and the expressive vision of world renowned artist Ludacris, and you get the first headphone that effectively merges style with professional acoustics. SOUL by Ludacris presents a full suite of elite quality, stylish options aimed to please artists, producers, DJs, jetsetters and music snobs alike. Prepare for a high definition, fully isolated listening experience any time, any place with the SL300. These powered performance headphones are engineered to deliver such a high quality of pristine, balanced sound that they are appropriate for use by music professionals… and they’re also a stylish option for the tasteful traveler looking for superior noise cancelling technology. 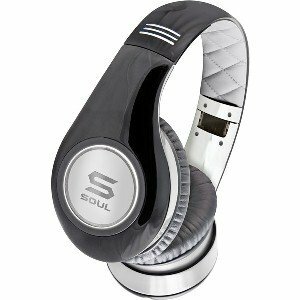 Whether you’re a producer, a DJ or a music aficionado…the SOUL by Ludacris experience delivers sound that moves your soul. Headphone Cable Length - 1.2M - 49"
Prepare for a high definition, fully isolated listening experience any time, any place with the SL300. These powered performance headphones are engineered to deliver such a high quality of pristine, balanced sound that they are appropriate for use by music professional and they're also a stylish option for the tasteful traveler looking for superior noise cancelling technology. 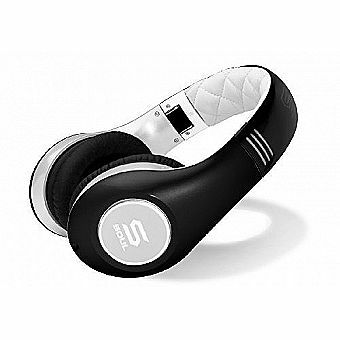 Whether you're a producer, a DJ or a music aficionado the SOUL by Ludacris experience delivers sound that moves your soul.